"There is no place like home," says Dorothy in the Wizard of Oz. But for the young men coming back from war in The Unreturning (Stratford East), home turns out to be less welcoming than they remember. Is it them that's changed? Or home? Or both? 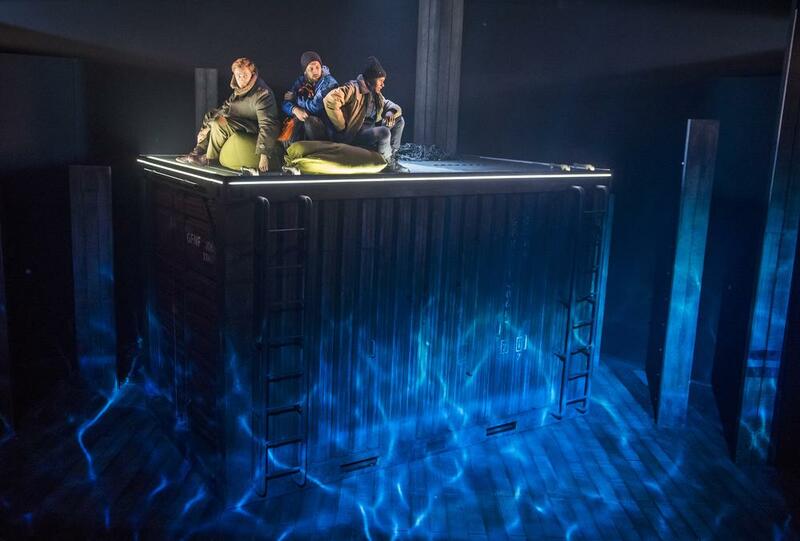 Directed by Neil Bettles with a real swagger it boasts a terrific cast – Jared Garfield, Joe Layton, Jonnie Riordan and Kieton Saunders-Browne – who are all graduates of Ignition, Frantic's ground-breaking and under-sung vocational training programme for young men aged 16-20. At its bruised heart are the stories of three men returning to the seaside town of Scarborough: each story many years apart. George returns shell-shocked from the Great War in 1918 to find he's too scared to leave the house and that his beloved wife is wearing lipstick. Coming back in disgrace from Afghanistan in 2013, after a video of him mistreating an Afghani boy goes viral, a dazed Frankie finds himself cold-shouldered by the mother and sister who previously saw him as a hero. In 2026, Nat, a refugee to Scandinavia who fled from a Britain divided by civil war, returns home to Yorkshire in search of his missing brother. The device which links three people over more than 100 years is a neat one. There is something haunting about the way that we watch these young men walking in the footsteps of each other, so desperately alone in their individual despair and unknowingly connected to each other. But it can be a mite frustrating too because you only get fragmentary glimpses of the stories rather than a satisfying narrative arc. You want to know more, go deeper. 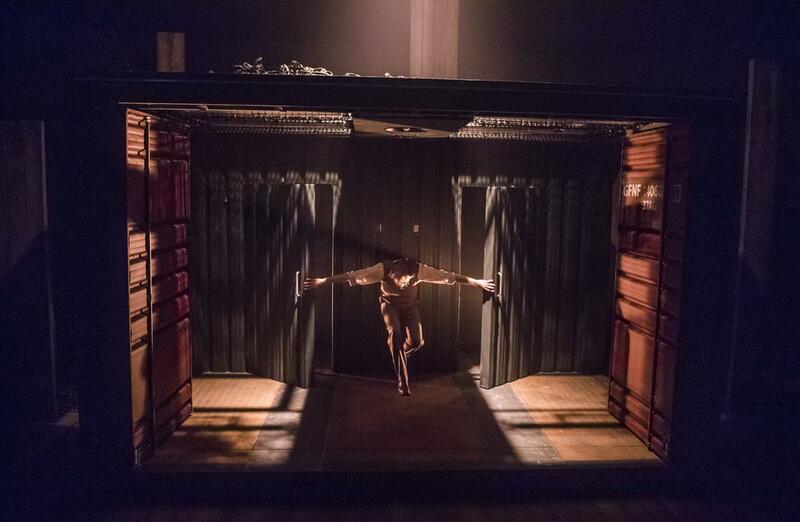 But Bettles' production, played out on Andrzej Goulding's set made from a shipping container which spins through the years, and offers the sliding doors of choices made and rejected, puts flesh on the bones. This is a show whose rich physical language creates an interesting tension with the feelings these men find so impossible to articulate. There is great video (Goulding again) and sound design (Pete Malkin) too. The result is something rich if sometimes a little over-stuffed. But as Frankie stands on the water's edge, the waves lapping against his ankles, George sits sweetly bewildered in a hospital ward and Nat lies, a ruin amidst the ruins of his family house, you mourn for all the young lives so casually destroyed by war. It reminds that those of us left safe back home never know the half of it. For the men in The Unreturning, the ground has shifted beneath their feet. For the film crew in Focus and Chaliwate's Backup, a miniature catastrophe of epic proportions, the ice beneath their feet cracks with terrible consequences. Backup, which plays the Southbank Centre until Wednesday as part of the London International Mime Festival, is like a shard of broken ice to the heart. It begins in jaunty mood with some clever design in which bodies become part of a snowy landscape complete with tiny fir trees and little houses twinkling in the snow. Then we watch as a film crew head for the Arctic where they film with cack-handed buffoonery. It is of course a metaphor for the way we clown around while our home, our only home – the planet – goes into meltdown because of climate change. 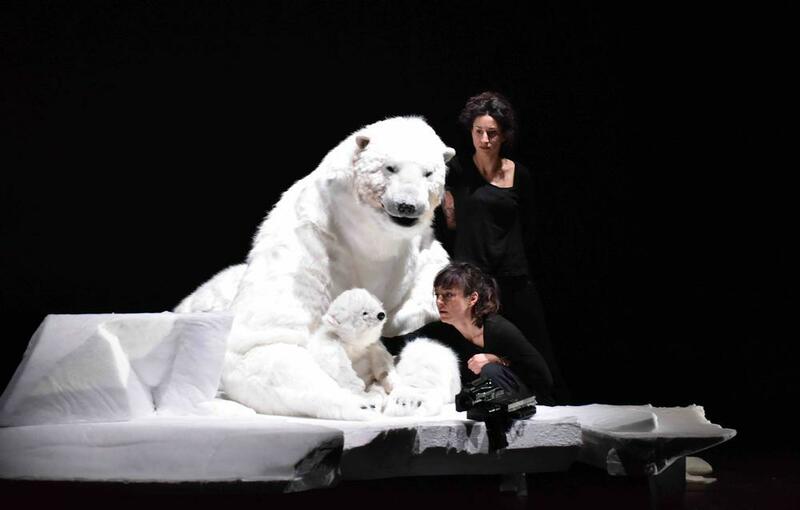 In case we don't get the message there is a mother polar bear and her cub (brilliant puppetry) sitting on ice, and what happens is more distressing than any David Attenborough documentary. At just 30 minutes this feels like a fragment rather than a full show, but it makes it's point with frosted pointed brilliance. Tip: you can buy tickets for The Unreturning right here on the Stagedoor app. With apple pay, it takes less than 30 seconds.